This home has a great beachy vibe that needed to be celebrated in it’s upgrade. 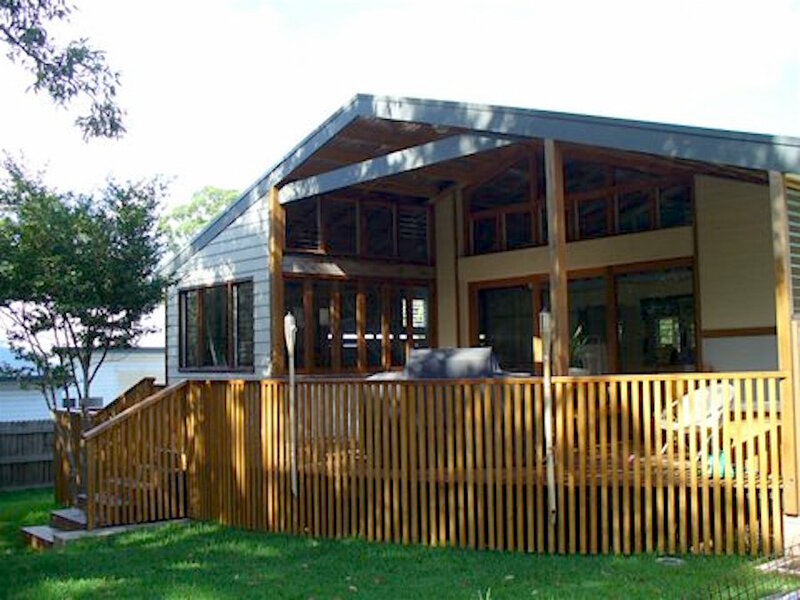 A design for a sheltered, breezy outdoor deck was created and built using hardwood Australian timbers and fibre panelling – a nod to the existing home construction. The deck, pathways, fences and gate provide the perfect spaces for this family to laze about outside and enjoy the birdsong and a bevvie. 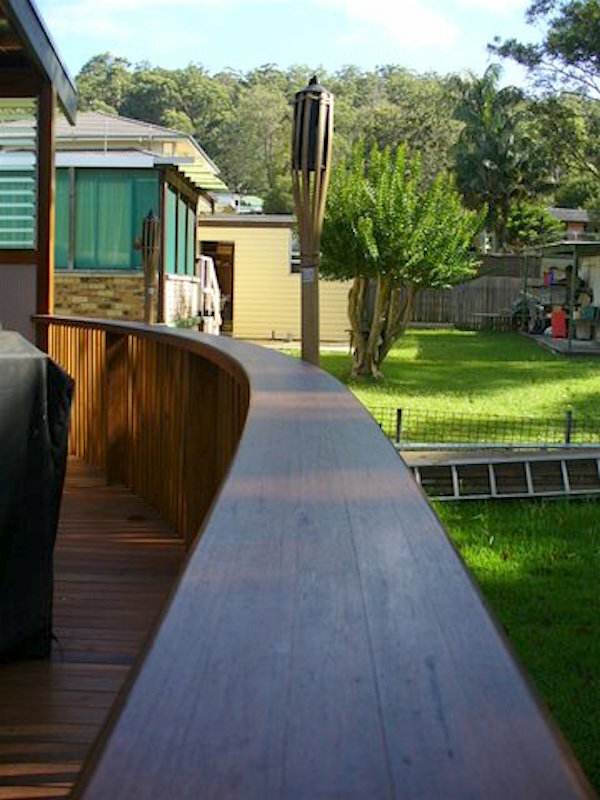 A curving timber balustrade is a strong focal point for the deck and backyard. The makeover for the front of the home. A great design for a beachy, coastal lifestyle. 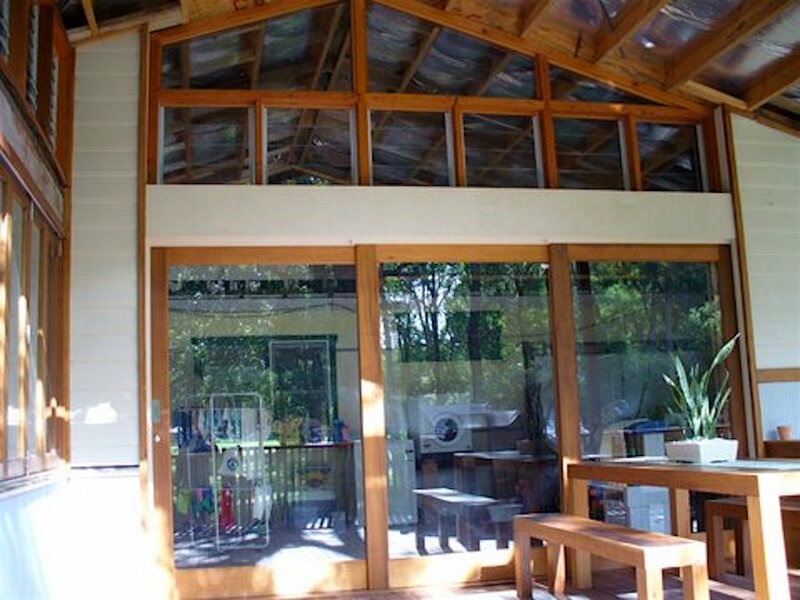 Custom timber framing throughout – including sliding glazed doors – add a bungalow feel to this home. 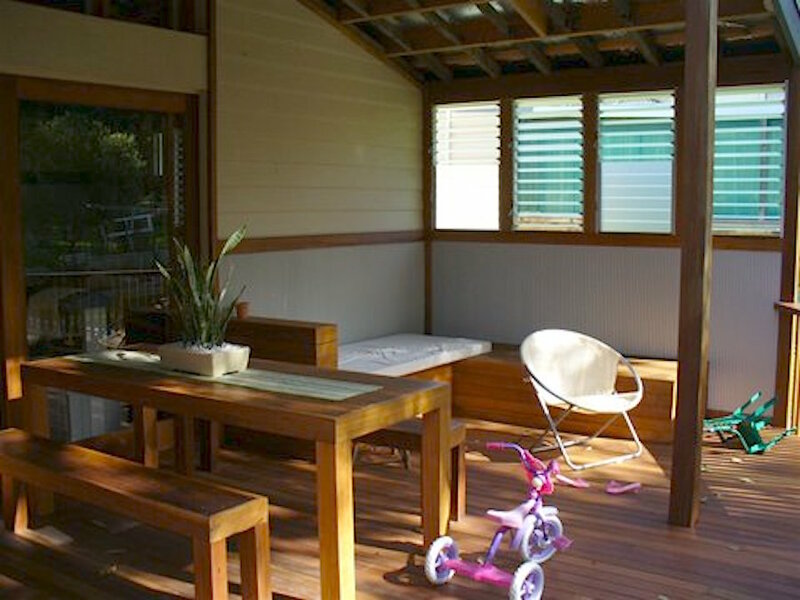 Horizontal fibre panelling and sealed hardwood timber create a casual and comfortable vibe in this sheltered area. 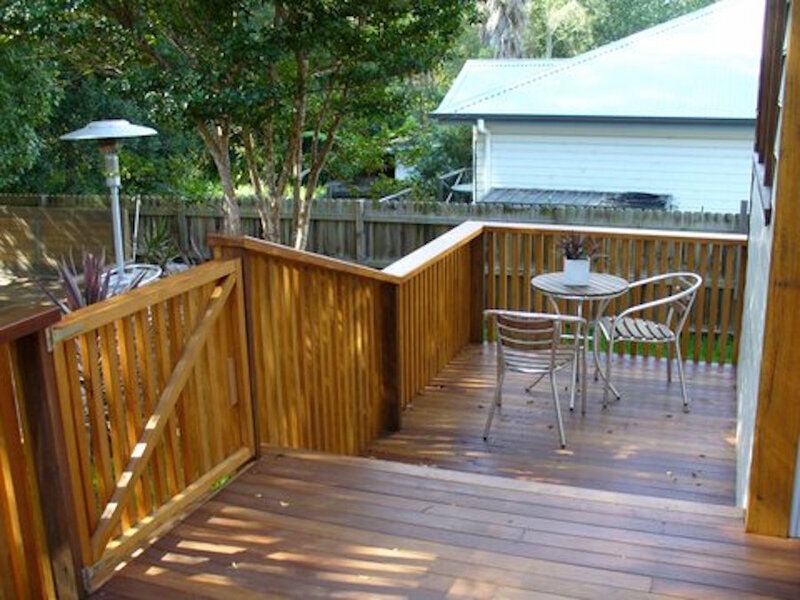 The Multi level walk way, fencing, wraparound decking area and a gate hovers above the backyard, amongst the trees.